A country’s economic development is not entirely dependent on economic reforms, but also on its social policy. Moreover, the government’s social policy must match the type of the national economy and the degree of civilization in the country. 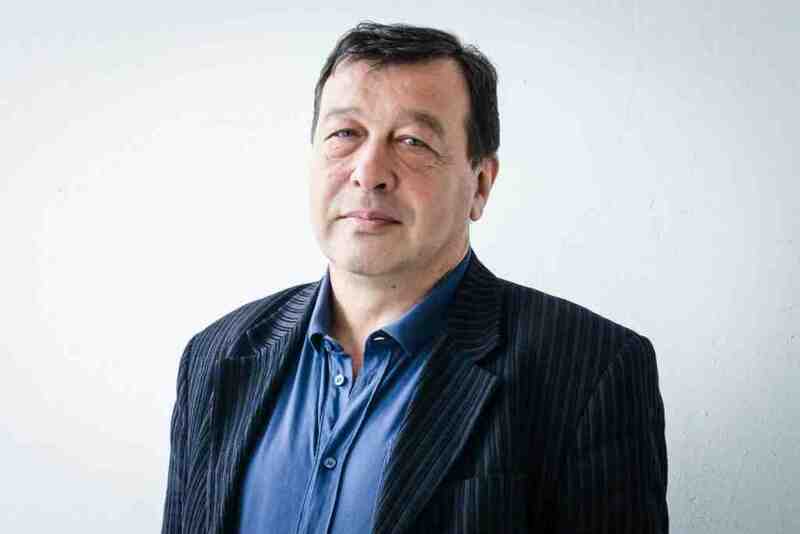 Prominent economist Yevgeny Gontmakher, member of the European Dialogue expert group, explains why Russia has an archaic social system, why it does not correspond to economic realities and where we need to move in an interview with Invest Foresight. – If we consider the financing of social policy in Russia, where does it stand compared to the size of the federal budget and GDP? – Compared with ‘normal’ social policy, Russia seems to be using a ‘reduction factor’ of 2 on each of its aspects. With any social aspect, the figure seems to be understated by half compared with the generally accepted one. When sociologists ask people about salaries they would like to have, most respondents – those with low incomes, and even those who make a lot – give a figure that is about two times what they make now; the same happens with pensions. Government spending on healthcare is around 3.5% of GDP; members of the OECD, an organization we have recently been trying to join, spend 6-7% on it. The ‘reduction factor’ of 2 works here as well; the same holds true for education. But this reduction factor is not just a random figure. The big question is why this gap has appeared. – China has recently established pension coverage for the urban population, which is on average higher than in Russia. – The situation is different in China. Its economic growth rate is much higher than ours, although there are problems with statistics: some foreign experts who live in China say their official growth rates are overestimated by about two times. But Russia, unlike China, has fallen into several traps. Fifty years ago, a typical Chinese was a peasant who did not know anything about state pensions – just like a peasant in Russia at the end of the 19th century. Until very recently, they have not seen a paramedic in rural China, let alone a doctor. The Chinese consider any social progress to be good for them. The country had been starving; then Deng Xiaoping came, gave the peasants just a bit of freedom, and the people could feed themselves. But Russia, by the end of the Soviet period, had a solid healthcare system – even in the most remote villages, it was formally presumed that you had the right to see a doctor. Without discussing its quality, the system at least was in place. We had free education, including in universities. The pensions were high enough – there was a general pension system that extended to collective farmers. Even despite the shortage of goods, Soviet people had a sense of social security. That, by the way, is stipulated in the 1993 Constitution: we are a social state, unlike China. So in the 1990s, when people’s incomes fell by 40%, they saw it as temporary difficulties. Then, in the 2000s, things began to get better due to the high prices of oil and gas. By 2008, according to official data, real incomes, including pensions, more than doubled on average. So Russians took this as a return to the usual social situation rather than as a windfall – a welfare that suddenly poured on them for the first time in Russia’s centuries-old history … That was a trap. – A trap of inflated expectations? – Yes. People expect that the social security system will continue to develop further. They are still waiting. But that was not given to them. There was a brief period of improvement in the 2000s, followed by a ‘lost decade’ when the economy grew by an average of 1% per year. Incomes have been decreasing for five years, even according to official data. Why is it a trap? There is a gap between expectations and reality. In China, an extra piece of meat is seen as an achievement. Russians want to live like Europe. Especially because in the 1990s and the 2000s people started travelling to Europe. We can keep saying that Russia is not ideologically Europe but our people want the European consumption model. There is a two-fold gap between the expectations and what we actually have. Of course, the second trap is oil and gas. We have been cultivating the image of an energy super power. Money was coming in with the oil at $110 per barrel. The entire Europe was dependent on our gas. Yes, part of this money was spent on increasing wealth in the 2000s, nobody argues that. But what happened next, after 2008 and 2009? For some reason, our government is boasting about the budget surplus. For some reason, the government seems to think that people do not understand the meaning of a surplus. The National Wealth Fund is promoting a great success of our financial policy since it holds over RUR 4 trillion ($61.7 bln). We are boasting around about our low debt and growing gold and currency reserves. Suddenly, our population that keeps thinking about the European consumption model asks itself: “Guys, why are we not living like Europe? Or at least like Eastern Europe?” Here is a trap, a contradiction between the normal quality of life as seen by the public and the reality of it being only half as good despite our state having pretty good reserves. – But people are not protesting. – There is an interesting phenomenon which has not been assessed yet. In August 1998 I personally expected that people would take to the streets and wipe the government and the president off this earth. Because of the state default and the national currency’s four-fold de-evaluation people lost huge money. But nothing happened. Boris Yeltsin dismissed the government and then the economic growth started. That is, in the 1990s people gave a credit of trust to the new system and believed that we will soon achieve the European model. In the 2000s, the expectations strengthened. Now people are starting to wake up. – There is now a trap of all these questions. Where does the big money go since, based on our GDP, we are not the poorest country? In the countries with a similar GDP, many social parameters are higher. Even China is ahead of us for life expectancy although its GDP per capita is almost half as high as ours. The life expectancy in Russia is currently the same as in Egypt, Uzbekistan and Cabo Verde, and the situation is stabilizing. If we were to experience a considerable growth in prosperity again, people would say once again: “Okay, maybe things will go back to normal in four or five years”. Yet, according to surveys, the pension reform completely shattered people’s faith in better tomorrow – and particularly as the government has accumulated the said massive reserves while we are observing this pension reform and increasing taxes. People are perplexed as to how one thing can go together with the other. In my opinion, this is a politically hazardous situation – I do not mean unrest or revolution, but these two traps are crucial as regards Russia’s future. – But how are these traps related to our economic development? – Everyone is striving forward the 21st century, but it has to have a different quality of human capital assets. Today, a role model of the desirable social status is not workers but those engaged in intellectual work, people with a totally different labor regime. They do not have to work 9 to 5; instead of working in large groups, they work remotely, with different business partners. There is a global demand for a different, intellectual type of business; we have examples such as Yandex and Mail.ru. Young businessmen’s aim is not just to make money but fulfill their potential. The labor force in the 21st century is drastically different from that of the 20th century. The key word is freedom. In a narrow political sense, this is not the main thing. This is about the freedom to live as one wishes, the freedom of education, choosing profession, place of living, and so on. If there is no freedom of choice, we will have a model similar to what existed in the Soviet Union in the 1930s, when people were conscribed and sent to work for the great construction projects of communism. Our citizens, particularly young people, cannot be involved in this because people are living by the European social model of consumption but also of motivation, when labor force values freedom, and sometimes even more than earnings. In this regard, we are observing the same illusion that the birth rate can be increased through offering state maternity capital. – And it cannot be? – No, it cannot. There are examples of totalitarian states where the birth rate was regulated. In Fascist Italy, they aimed to have more Italians as they claimed to be descendants of the Roman Empire. China controlled fertility rate by birth restrictions, which resulted in an immense number of the problems they are facing now, such as fast aging and gender imbalance. In Russia, supporting families with children is confused with boosting the birth rate. A free person decides on their own how many children they want to have. And this is also a trap – a gap between how our leadership sees the future (and they see it in a ‘proper’ way: “Russia is a high-tech country”) and the implemented social policy. – How can this gap be closed? – At least we need to start moving in the right direction. We need the economy to develop because it is the source of everything, including competitive salaries, jobs and taxes. But let us assume that we have all this already. So the question is how should we spend this money? If we, say, double our healthcare spending it would be a catastrophe. Because we, in fact, have not abandoned Soviet institutions in all social areas yet. All attempts of social reforms have failed so far. –Was it the inefficiency of the social policy that caused such huge social inequality? – In Russia, the inequality is caused by the country’s archaic economy. We lack good jobs with a good performance, competitive product and high salaries. There are no economic reforms based on the freedom of entrepreneurship, competitiveness and independent courts. We are witnessing a criminal prosecution of the Baring Vostok investment fund management, as well as millions of other cases, especially in the regions. This is the root of the problem. The redistributive measures to lower the discrepancy are possible, a progressive tax is also possible though currently unpractical, but the problem lies in the structure of the economy and the outsized role of the state. The state has turned into a large corporation devoted to making money. The state has no competition. It is not an accident that it is now said that people are the new oil given the falling oil and gas prices. Hence all these attempts to extort money from the population. Mandatory payments for building overhaul were introduced without regard to the total inefficiency of the housing and construction sector. They were followed by the increased real estate tax, increased retirement age and VAT. Let alone numerous obstacles to the development of small businesses. The state is our most successful institution. It functions as a highly profitable corporation. – But here we come to reforming the state. – This is the most difficult thing we can face because there are two ways to reform the state. The first way is a revolution. The painful memories of 1917 and 1991 are still there. The second way is when state reformers appear inside, like Mikhail Gorbachev appeared inside the Soviet system. It is not always successful because not all people are interested in changes. We need a decentralized state with local governments. We need a state that does not have that much money to control.